Storytelling has been around since ancient cultures painted the first cave art or shared the first poem about the sun and moon. Today, books, films, and even keynote addresses are judged on the storyline. Pixar Animation Studios is a great example when thinking about powerful storytelling; the animated films they create consistently display a deep understanding of human emotions, motivators, and psychology. Until recently, most businesses did not even consider themselves as storytellers, but rather focused on creating content to showcase experts within their trade. However, as social media sharing has increased, storytelling has become an increasingly important driver of content marketing. How Does Storytelling Marketing Apply to Your Business? In the digital landscape, user experience is key. Think about who you do business with and why. From where you shop to who repairs your vehicle to your favorite dinner spot, chances are you’re comfortable with these businesses and have formed some sort of connection to the brand, business or owner. Today, 80% of the buyer decision-making process is done online. When someone finds you in a Google search or sees you on Facebook, how are you building a connection? Storytelling focuses on people and experiences so that your ideal audience can begin to feel an in-person connection through the computer screen. Storytelling makes you human. Especially for the under-35 crowd, building this connection is essential. How Do You Begin to Tell Your Story? How do you introduce your company to a new client when meeting face-to-face? What do your clients appreciate the most about your business that you would want prospects to know about? 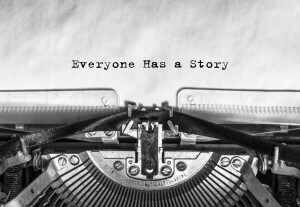 What kinds of stories are your clients and employees already telling? How has your history impacted your business? How does your C-suite, managers, and representatives reflect the company’s service goals? What values does your business hold in high esteem? How does your code of conduct impact your customer experience? Then, decide how storytelling fits into your overall marketing and communications strategy. What are your current communication goals for 2019? How would storytelling fit into your current plan? Most importantly, you want to make sure your story has a purpose and that you keep your end goal in mind throughout the process. Next, show, don’t tell. This key writing concept translates perfectly to digital media. Capture moments that highlight the answers to the above questions in photos, videos, and narratives. The phrase “a picture’s worth a thousand words” is magnified in social media where images have produced as much as 650% higher engagement than text-only posts and Cisco projects that global internet traffic from videos will make up 82% of all consumer internet traffic by 2021. Finally, anything you create needs to not only be seen, but connect with your audience so that they are motivated to share it with their friends. The challenge is to tell and share your story so that it connects with your target audience and motivates them to take action.